We already know that James Bond will be driving an Aston Martin DB10 in the new Spectre movie and now we have some more details on what other cars will be staring in the movie. 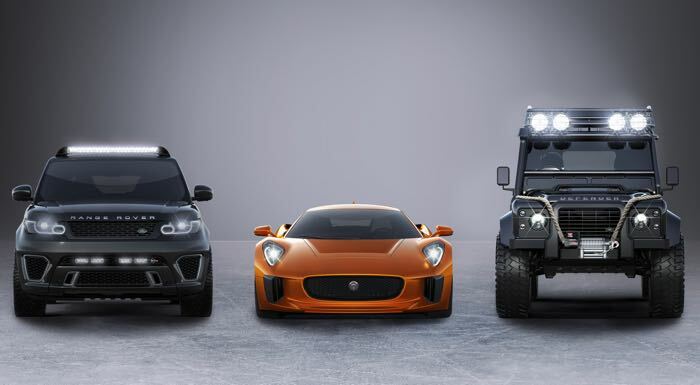 Jaguar and Land Rover have announced that the Jaguar C-X75 which is a concept car will be starring in the movie as will a number of Land Rover Defenders and some Range Rover Sport SVR’s and more. You can find out more details about some of the cars that will be starring in the new Spectre James Bond movie at the link below.